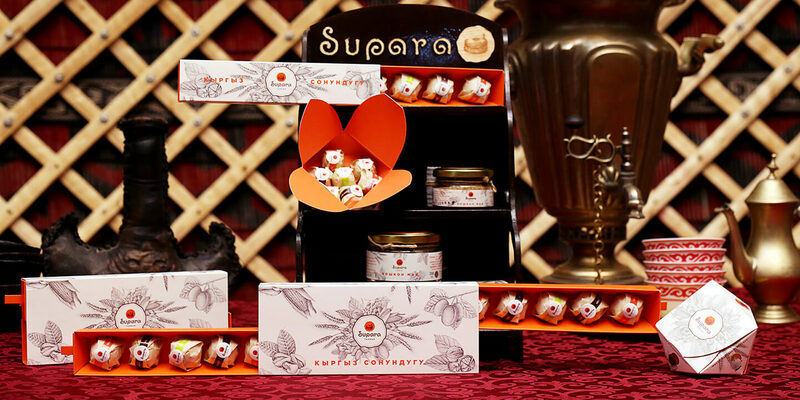 Супара талкан v2(eng) | Этно-комплекс "Supara"
“Supara talkan” is a natural Kyrgyz candy made of cracked barley, honey, clarified butter, local organic walnut, prune and pistachio, and covered in high quality Belgian chocolate. 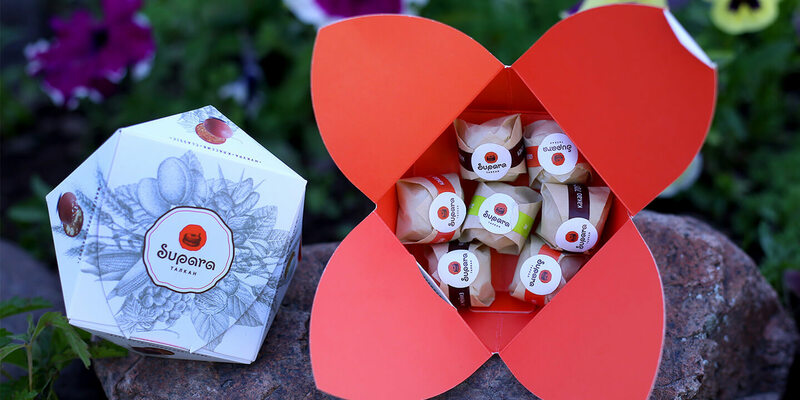 It is free of sugar, coloring agents, flavor enhancers and preservatives. Knowing about health benefits of cracked barley, clarified butter and honey, our ancestors ate them on a daily basis. For instance, cracked barley helps cleanse the body from harmful substances and reduces blood sugar and cholesterol levels. Whereas clarified butter helps digest food, soothes the nervous system and improves memory as well as detoxifies the body. And finally, honey increases appetite, enriches blood structure, boosts the immune system and helps fight premature aging. 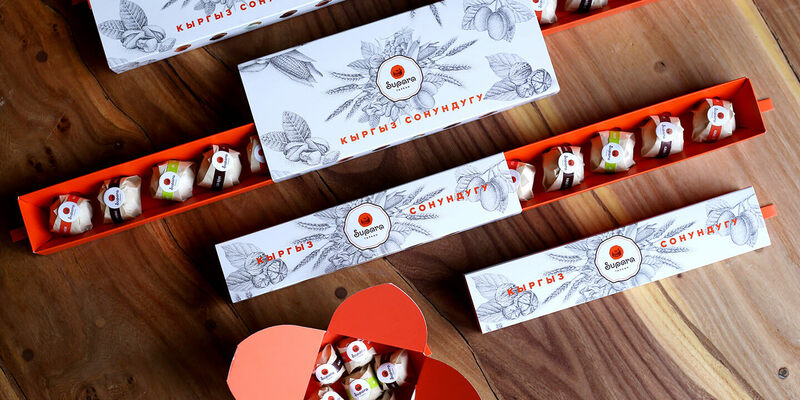 “Supara talkan” organic chocolate candy is not only yummy but also a great gift for any occasion. 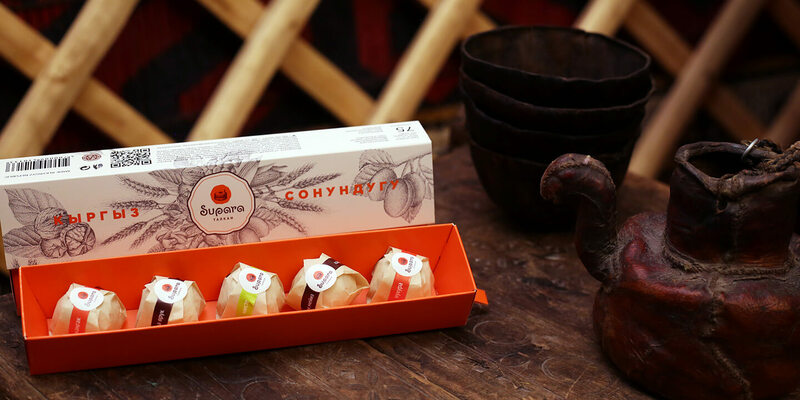 You can order “Supara talkan” chocolate candy in any amount with a custom made packaging from leather, wood, and felt with traditional Kyrgyz patterns. Give your loved ones a forgotten taste of our ancestors!